Size: approx. 5 mm. Photo: 06/14/14, 4 pm. 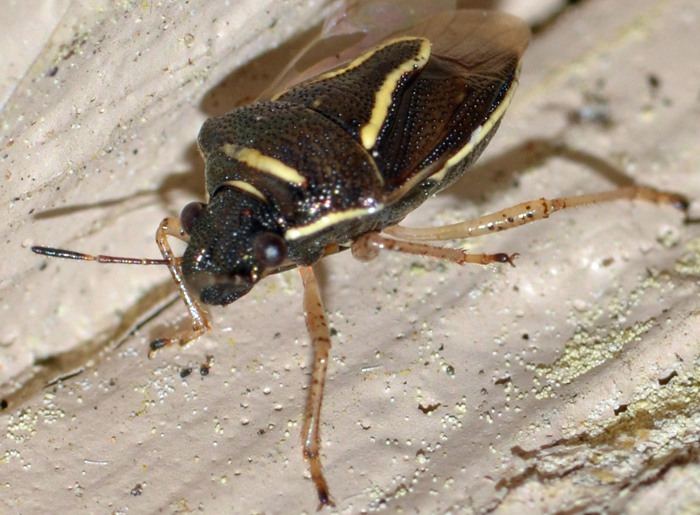 A small but rather pretty stink bug. 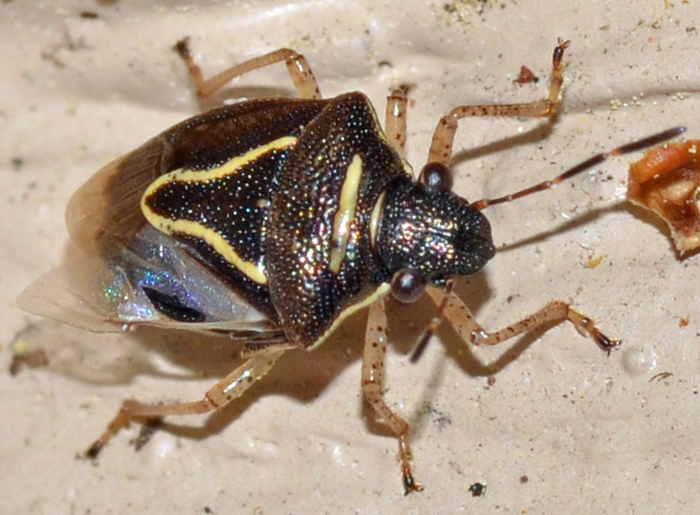 This species can be recognized by its shiny black/brown color and the yellow/white boundary around the scutellum. I found this one on the exterior wall of our house. Its preferred habitat seems to be grasses.